Avail Technologies, State College, PA, is an enterprise-level solutions provider for public transit, specializing in Intelligent Transportation Systems (ITS), Enterprise Resource Planning (ERP), and Enterprise Asset Management (EAM) solutions. 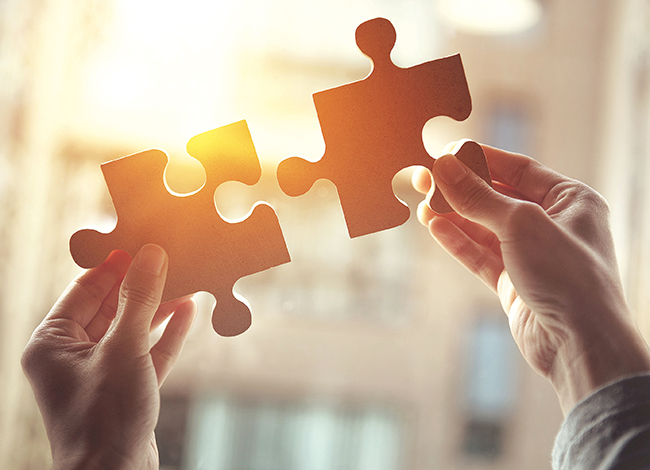 In an interview with BUSRide, Rick Spangler, chief technology officer at Avail Technologies, answers a few critical questions about integrating ITS, ERP, and EAM systems. What key terms should operators be familiar with in the area? We have three important terms: Intelligent Transportation Systems, Enterprise Resource Planning, and Enterprise Asset Management – and they are each very distinct from each other. ITS refers to technologies which are focused on real-time management and making transportation services smarter, safer and better coordinated. In transit, this includes computer-aided dispatching, automatic vehicle location, incident management, disruption management, yard management, pullout management, and other tools which allow operators to stay “on top” of their fleet. ERP is process management software, which allows a company to integrate all its moving parts under a single umbrella. In transit terms, it is software which coordinates operations such as finance, human resources, payroll, grants management and other agency departments. EAM is asset management software, which allows a company to track and manage all their physical assets throughout each asset’s lifecycle. In transit terms, these are an agency’s facilities and rolling stock. A good, simple distinction is to remember that ERP has strong ties to operationally-funded expenditures and EAM has strong ties to capitally-funded assets. What benefits can agencies yield from integrating these types of systems into their operations? Many transit agencies have a common problem, in that they typically treat these systems as disparate parts of their operation. As a result, these systems have typically grown through the years, adding functions in a piecemeal fashion (typically out of necessity). At Avail, we often find agencies using one or more of these various systems – but they haven’t organically installed and integrated them so that the agency is getting the full benefit of each. The disconnected systems also create a new problem area, where the agency has an extra burden of trying to maintain and keep those systems running. We often find agencies reverting to manual spreadsheets because of the maintenance burden associated with their software. Agencies often feel that if the systems have not already yielded benefits, then there is no clear advantage in integrating them. This assumption is incorrect! In truth, all these systems can complement each other in integration. Here’s an example – I’m an agency manager, and I’m using my ERP system to manage payroll, track my drivers and pay my drivers. However, for me to know what to pay each driver, I must know more information – how many shifts did they work, how many breaks did they take, and what routes did they drive? My agency’s integrated ITS software houses all of that data and can communicate it directly to the ERP system. Similarly, in EAM we often talk about bus lifespans. How many miles does a vehicle have on it, and how many miles can it still run? All of that information can be seamlessly shared between integrated ITS and EAM systems for better efficiency. A great deal of data is shared between these three systems. By integrating them, agencies can optimize benefits received and lessen the required amount of labor-intensive work associated with each system. these three systems together, you can optimize the benefits you’ve received from them. How steep is the learning curve to integrate and manage these systems? It is a steep learning curve, to be sure, but there are ways to mitigate the difficulty of installation and integration. For example, the learning curve is very steep if the agency’s EAM or ERP system is a generalized, large-scale business management system that is not industry-specific. To customize one of those systems to fit the needs of a transit agency can be a daunting task, to say the least. I advise seeking out a combined enterprise resource planning and asset management system tailored for transit-specific needs. One vendor can provide all three integrated systems which allows agencies to yield further benefits – agencies have one line of support, and their vendor can ensure that the solution evolves cohesively and organically, in sync and not as three disparate systems always fighting to stay integrated. A single point of contact is the first step toward consolidating data into actionable business intelligence. In the next edition of BUSRide, Avail will address the intersection of “Big Data” and ITS, ERP and EAM.